Lori Lightfoot. Photo courtesy of Mayer Brown. A former federal prosecutor who was an equity partner at Mayer Brown has been elected the new mayor of Chicago in a landslide victory against her runoff opponent. A “kickass trial lawyer,” in the words of former Illinois Attorney General Ty Fahner, Lori Lightfoot, a lesbian, is the first openly gay person and the first black woman elected mayor of Chicago, report the Chicago Sun-Times and the New York Times. She is also the first former federal prosecutor to be elected Chicago mayor, at least in modern times, according to Chicago Tribune columnist John Kass. “Perhaps Chicago is ready for reform after all,” Kass wrote. Lightfoot defeated Cook County Board President Toni Preckwinkle, another black woman, who had criticized Lightfoot as “a wealthy corporate lawyer,” the Chicago Tribune previously reported. 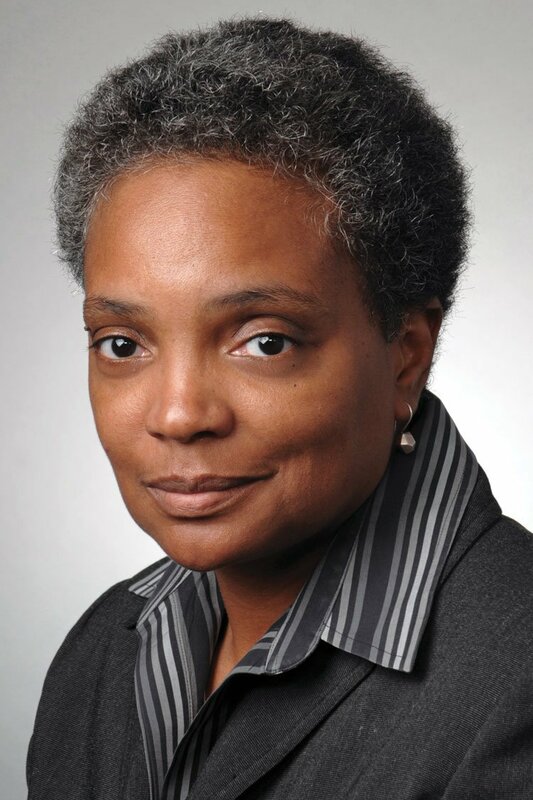 Preckwinkle had accused Lightfoot of running as a progressive despite her position as a partner at a firm “that defends Big Tobacco, that defends Big Pharma, that defends environmental polluters.” She also had represented corporate clients accused of discrimination and Chicago officials defending accusations of police misconduct. But Lightfoot often entered cases near their conclusion to help work out payouts to people alleging misconduct and discrimination, the Tribune said. In one case, she helped negotiate a $22.5 million payout to the family of a woman with bipolar disorder who had been released by police into an unfamiliar, high-crime neighborhood. The woman was abducted and then severely injured when she fell from the seventh floor of a public housing high-rise building. Lightfoot told the Tribune that her cases “don’t magically change who I am,” and she uses her varied background to evaluate the facts and make recommendations to clients. Lightfoot was raised by working-class parents, according to the Tribune and the profile by the Sun-Times. Her father was a janitor and her mother a caretaker. Her older brother spent decades in prison after an arrest for robbing a bank and shooting a security guard. Lightfoot told the Sun-Times that her brother’s experience with the criminal justice system wasn’t the reason for her interest in the law. Rather, she wanted “to do something where I would be able to take care of myself financially,” she said. She also saw lawyering as a good fit for her personality. Despite her interest in financial stability, Lightfoot left Mayer Brown to work as a federal prosecutor. She also oversaw Chicago’s police oversight agency and had positions with the city’s 911 center and procurement agency. She went back to Mayer Brown in 2005 as an equity partner, earning an annual salary that ranged from $918,000 to $1.16 million between 2014 and 2017, according to the full tax returns she released at the Tribune’s request. Kass sees Lightfoot’s experience as a federal prosecutor as a plus in a city known for machine politics and political favors. He thinks the tide turned against Preckwinkle after the FBI raided the offices of Alderman Edward Burke. The alderman later was charged with trying to extort business for his law firm from a company seeking a remodeling permit. Burke had contributed to Preckwinkle’s campaign, and she had given Burke’s son a $100,000-per-year job with Cook County.